Oddly and Sugar Media collaborated to design and execute a boundary-pushing experience for Mazda's 2014 Canadian Autoshow presence. The goal was to brainstorm a “wow” idea for Mazda’s 2014 Canadian AutoShow appearance and after much collaboration with Sugar Media, a campaign was formed around Mazda’s strong relationship with 3D Printing and Makerbot. Oddly’s contribution to Mazda’s 2014 AutoShow experience included an interactive application available on touchscreen, as well as a social media contest, all centered around a 3D printing display taking place live at the show. 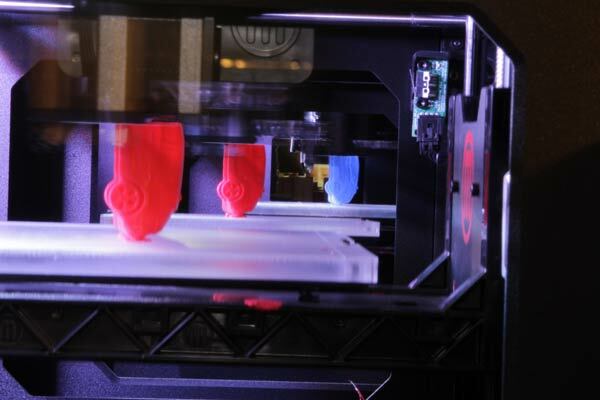 3D printing is even more fun in timelapse form. A few months later we had a 2014 Mazda3 in our parking lot ready to be modeled, and 4 Makerbot Replicator 2’s printing away in our office. While this was our studio’s first time working with 3D printing, we learned a lot in that time: everything from how to remove delicate models off the printer’s base, to ensuring ink remains in place on the PLA material. We ran four printers in parallel to make thousands of cars in different sizes and colours. Mazda gave away the cars as promotional items at Autoshows around Canada. Our team happily spent weeks modeling, printing, developing, designing, driving, and stamping, and we couldn’t have been prouder of the application, video and display that all launched at the Montreal International AutoShow. 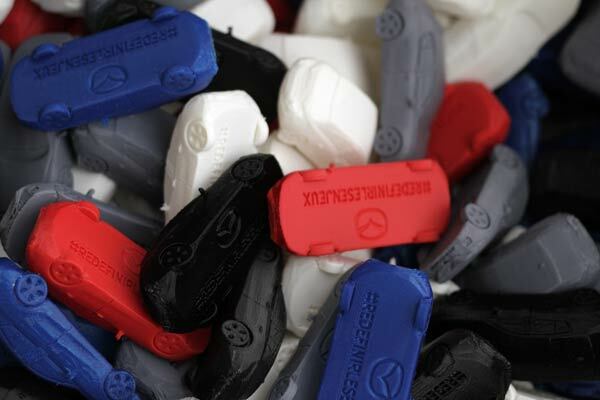 At the end of it, our team printed thousands of Mazda3 Hatchback models that were given away as prizes throughout the shows cross-country tour. For the display screens to accompany the 3D printing showcase, we designed and built interactive touch-applications that allowed guests to learn about Mazda’s technology. Adding to the visual elements, we worked with special effects studio Playfight VFX to produce truly outstanding graphics and animation that made the experience informative and memorable. We also developed a web-based dashboard to track contest entries and select winners. To get people outside the show excited about the 3D printers we developed a contest where anyone on site or at home could participate. Each hour at the show a new car part would be printed. 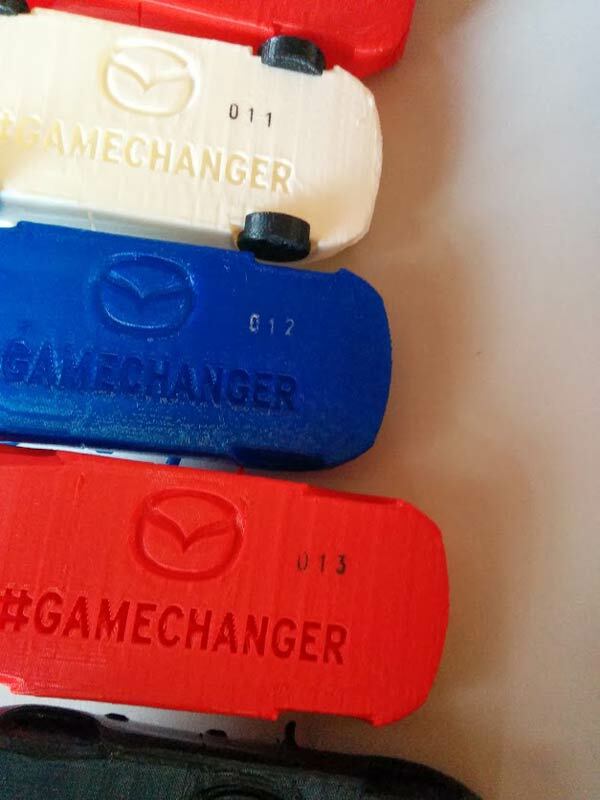 Users could join us online guessing what vehicle part the Makerbot’s were printing, and submitted their guess via Tweet or Instagram. When the submission included the hashtag #Mazda3D, our aggregator software found it, and stored it in our database. An administration panel allowed a member of Mazda’s social media team to select winners each day, while also ensuring no one won twice. We’re a Toronto-based rich media solutions provider. We offer creative services and product development for multi-screen content that entertains, informs, and educates people.